High-capacity ink tank delivers brighter colors with a wider range of colors that will stay vibrant, longer. FINE (Full Photolithographic Inkjet Nozzle Engineering) Technology provides exceptional sharpness, detail and quality to your prints. Use genuine Canon ink and photo paper for the ChromaLife100 Plus system that delivers long-lasting, beautiful photos. The CL-211 also has a lower profile making for simple and quick replacement. 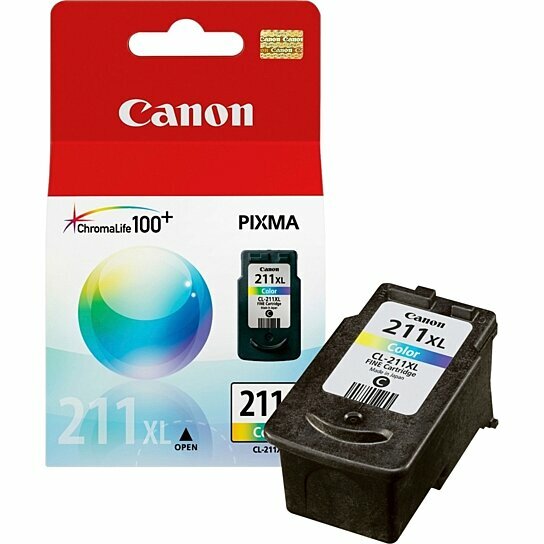 Ink tank is designed for use with Canon Pixma iP2700, iP2702, MP240, MP250, MP270, MP280, MP480, MP490, MP495, MX320, MX330, MX340, MX350, MX360, MX410 and MX420. Tank yields 349 pages.